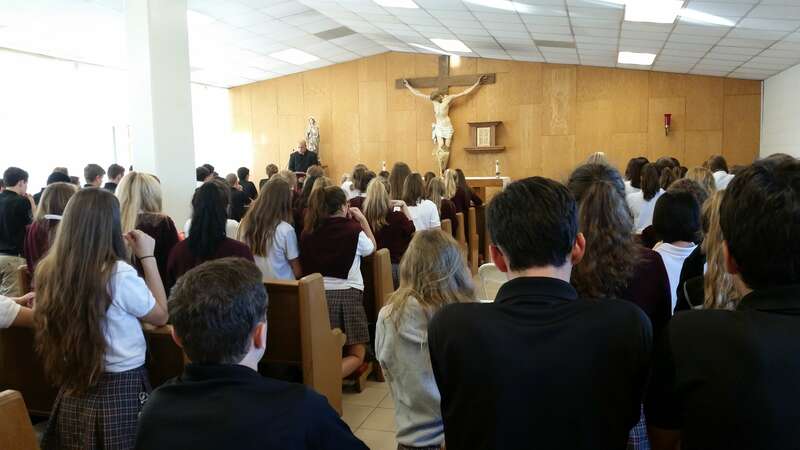 Once a month, Everest Collegiate High School students take time out of their schedule to attend Eucharistic adoration and to hear a spiritual reflection. Last month Fr. Thomas spoke about the importance of developing a friendship with Jesus Christ.